How to remotely install or uninstall an app without any action from the end user? 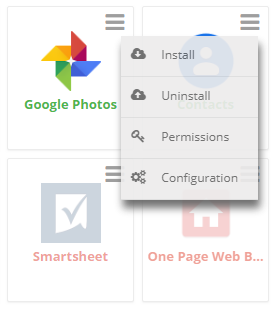 Instantly manage the installation / removal of applications on different device groups from your dashboard, with no action needed from the end-user! – In the Apps management section, you’ll find all the policy approved apps. Please note that if the device is turned off when you install / uninstall an app from the policy, the change will happen as soon as it will be turned back on. In a Work Profile setup, business apps will be installed or removed from the business folder in the device. Admins won’t have access to personal apps and data.